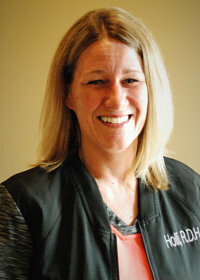 Holli has enjoyed providing dental hygiene care since graduating from Rhodes State College in 2003. She believes a strong patient rapport is the best way to ensure a comfortable dental experience. In addition to clinical services, Holli also provides patient education regarding the importance of good home care. When she’s not at work, Holli loves spending time with her husband Brian and two sons, Garrett and Drew. Her favorite hobbies include reading and traveling. 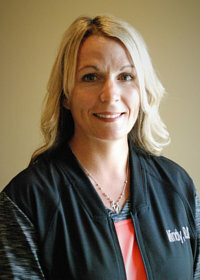 Mindy is a native to Fostoria and has worked as a dental hygienist since graduating from Rhodes State College in 2005. She performs multiple tasks at Tri-County Dental Center including dental hygiene, dental assisting, and front office duties. A true team player, Mindy knows that there is never an “I” in “team” in this office! She loves helping our patients and the rest of our staff whenever needed. 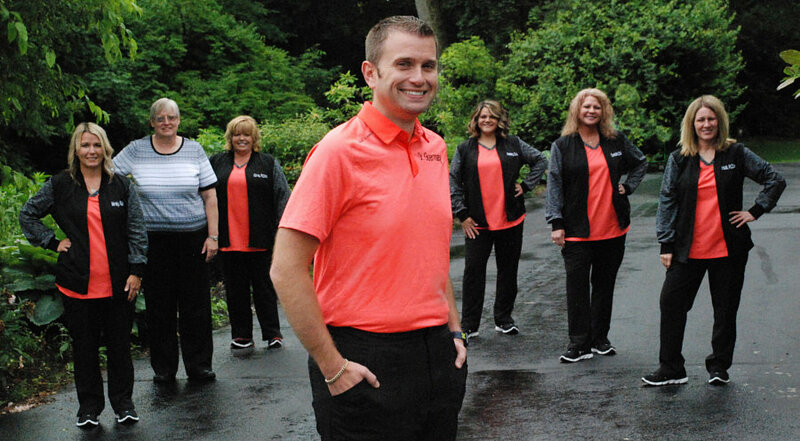 At home, Mindy has three children: Caden, Bailey, and Brady. They keep her busy with baseball and basketball season! Her husband is a teacher at Fostoria High School and loves coaching baseball at Van Buren High School. Every summer, the family looks forward to travelling to one or two major league baseball stadiums. 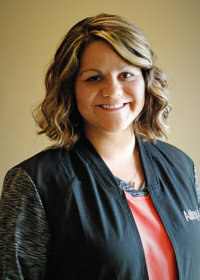 Ashley is a native to Fostoria who joined our team in 2007. She performs multiple duties in the office, which include greeting patients, treatment planning, handling insurance plans, and answering any questions. She also assists Dr. Utz and Dr. Guernsey as needed with patient procedures. Ashley enjoys developing relationships with our patients and works hard each day to create a friendly, caring, and relaxing experience. Ashley is married with three children. She loves watching her children play softball/baseball in the summer, going to Cleveland Cavaliers/Indians games, crocheting, crafts, and running 5ks. 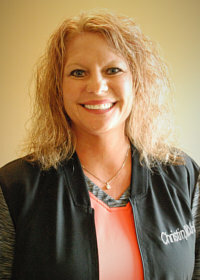 Christin has worked as a dental hygienist since graduating from Lima Technical College in 1995. She joined our team in 2008 and provides periodontal exams, dental cleanings, and patient education, and helps out whenever she is needed at the front desk. Christin loves talking to patients, getting to know what is important to them, and helping to create a plan for them to achieve ideal oral health. Christin is married and has two beautiful daughters and a dog. In her free time, she enjoys camping, cooking, and traveling with her family. Gina lives in Fostoria with her husband John and dogs Gabe and Grace. Gina works at the front desk helping to greet patients, schedule follow up appointments and submit Insurance. 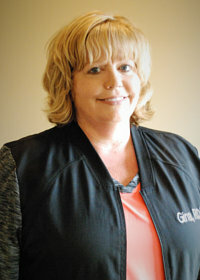 Gina is also a Dental Hygienist and helps with patients when needed. Gina is the Director of Music at Hope Lutheran Church where she shares her love for music. In her spare time Gina enjoys flower gardening, grandkids, and reading. In the Spring she works at Wolf’s Blooms and Berries. 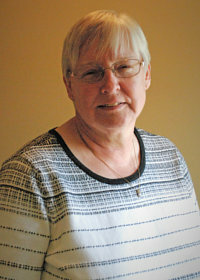 Debbie grew up in Fostoria and was a part of the medical community in Fostoria for over 35 years . She has been married to Steve for 41 years and has two children, Dawn and James, and 4 grandchildren, Avery, Jade, Emily and Alex. Debbie joined our team in 2018 and handles the daily operations of the office. She also helps with scheduling appointments and assists with financial arrangements to help patients get the treaments they need. Her focus is on patient satisfaction and a smooth and efficient office flow. In my spare time I run a sewing and alterations business, travel with my husband and do lots of fun stuff with my grandkids.